Congratulations to all involved in making CERME 2017 the European Maths Education Congress such a success. The Maths Week Team was delighted to be there to talk to the 800+ attendees from all over the world. The content and the social activities were judged to be a great success. The Northern Ireland Science Festival has just finished and has achieved remarkable size and quality with over 100 events including workshops, talks and interactive activities for young people, parents and schools and evening activities for adults. There were several exciting maths events. Since we sent out the last newsletter an obituary to Prof Michael Hayes was brought to our attention. Many may remember Michael from his many years teaching maths physics at UCD. Who was the first Irish woman to get a Doctorate in Maths? 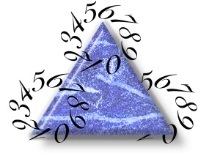 March 4 Team Maths Finals: Good Luck to all participating in the IMTA Team Maths Finals. Team Maths has been running since 1991! The Irish Mathematical Trust is currently seeking to roll out Junior Enrichment Classes (for 2nd and 3rd year students) and Maths Circles (for 1st year students) at locations outside the Cork region, where such activities have been established a while ago. These will complement their traditional Senior Enrichment Classes which have a 30 year tradition. In order to get Maths Circles up and running in as many schools as possible, they have organised two workshops in Limerick (one for Primary school teachers and one for Post Primary school maths teachers). The feedback from the participants was very positive and encouraging. Raymon Smullyan was an American mathematician and logician, magician and concert pianist. He was a professor of philosophy. He died earlier this month at the age of 97. 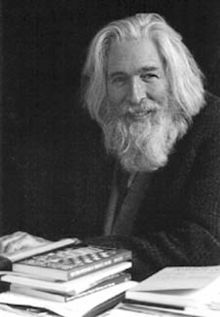 He was well known as the author of logic puzzles, one of his books was even titled “What is the name of this book?”. Maths Week founders Eoin Gill and Sheila Donegan had the pleasure to meet Raymond and spend some time with him at the Gathering4Gardner meetings..
Raymond was especially known for a family of puzzles known as "Knights and Knaves" featuring knights who always told the truth and knaves who always lied. Here is one of Raymond's puzzles for you to enjoy. Three identical triplets are named William, James and John. William always tells the truth and James and John always lie. You meet one of them one day and as you cant tell the difference between them you don't know which of them it is. Is there anyway by asking just one question that you can ascertain whether it is John or not? 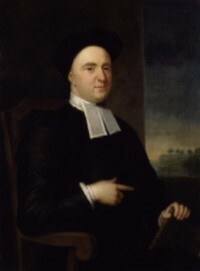 Philosopher George Berkeley (1685-1753) was born 2 March 1685 in Kilkenny. He was educated at TCD and wrote a critique of the foundations of calculus. The University of California at Berkeley is named after him (though pronounced differently). Mathematical physicist Lochlainn O’Raifeartaigh (1933-2000) was born 11 March in Dublin. Educated at UCD and the University of Zürich, he worked for over 30years at the Dublin Institute for Advanced Studies, supervising many graduate students and writing fi ve books. He is best known for several ground-breaking results in the application of group theory to the physics of elementary particles, notably his “no-go theorem”. 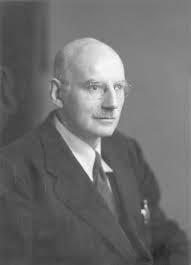 Mathematical physicist John Lighton Synge (1897-1995) was born 23 March in Dublin. Educated at TCD, he worked there and at the University of Toronto, as well as in the USA, and at the DIAS. He supervised many theses and wrote 11 books. He is credited with the introduction of a new geometrical approach to the special and general theories of relativity. What qualifies as a scientific theory, and can they turn into laws of nature? Can you prove something scientifically? Dr. Solveig Felton will address all of these questions in a talk about the scientific method -- what it is, what it does and what it doesn't do -- as well as giving a historical overview of the philosophy of science. Dr. Solveig Felton is a lecturer in the School of Mathematics and Physics at Queen's University Belfast and we are very excited to have her as our speaker for our March Science Cafe. The event will be in our usual informal Science Cafe format with a short (20-30 talk), followed by a question and answer session with the speaker. A conference for all post-primary, newly-qualified and prospective maths teachers and those interested in maths education. Engineers Week is back again with events running at locations across the island. Engineers Ireland’s STEPS team coordinates Engineers Week and is responsible for the development of resources and materials, partner liaison and communication. Event hosts organise activities on a local level. Host organisations vary from engineering organisations to institutes of technology, universities, libraries and educational centres. As Part of Engineers Week the IMTA will have a special "Peter's Problem" relating to engineering. This activity is named in honour of Peter Tiernan a great servant of IMTA and great friend to Math's Week. The closing date for entries to SciFest@College 2017 is Friday 10 March 2017 except in the case of SciFest@NorthWest in St Mary's College, Derry, where the entry date is Friday 12 May 2017. The Irish Statistics Association Gosset lecture 2017 will be delivered by the distinguished Professor David Hand OBE (Imperial College London) in the Royal Irish Academy, 19 Dawson St., Dublin on April 6th at 6:00pm. The dangers of not seeing what isn’t there: selection bias in statistical modelling. In general, in statistics and data science, more is better in the sense that larger data sets mean that smaller effects can be detected and more confidence can be placed in any statistical conclusions. But this is only true if we have confidence that the data represent the underlying reality fairly. All too often the available data have undergone unobserved selection or distortion processes, which can mean they are potentially misleading. This applies in human interactions - where it has been suggested that the notion that ‘data=all’ can replace the need for careful theorising and statistical modelling - but also in the hard sciences and medicine. This talk gives examples of such cases, showing how ignorance of selection mechanisms has led to mistakes and even disasters. These mechanisms are described, and strategies for tackling the problem are outlined. This event is run in partnership with the Irish Statistical Association. On the website you will find details regarding our workshops, lectures and keynote addresses. Each Tech Week Pack contains a bundle of fun and educational activities to help you inspire your class, group or organisation to celebrate Ireland’s week-long technology festival. Engineers will focus on Flooding and Renewable Energy. More here. In collaboration with the School of Physics and Mathematics at Queens, Farset Labs and the Northern Ireland Raspberry Jam team, these free monthly events involve tinkering, coding, electronics and generally just having a stack of fun making stuff! Whether you want to try out computer programming for the first time, hack some electronics or just generally have some fun inventing, we have something for everyone! All equipment is provided and we have activities for ages 6-106, from complete beginners right up to seasoned Pi experts. Plus, like all our Raspberry Jam events, it is completely free! Girls Hack Ireland would love to show you how! We'll teach you everything you need to know, and we'll provide you with a laptop too - so all you have to bring on the day is yourself (and your parent/guardian if you are under 16). The workshop is for 13 - 17 year old girls. Parents - we will be running a workshop for you too - while your daughters/charges are busy learning the ins and outs of web design, we'll be running a similarly themed course for you. You'll be able to continue the learning at home! This workshop is aimed at an introductory level to get you comfortable with coding using the hardware and software. No prior knowledge is necessary as you will undertake some simple coding exercises to make fun and interesting projects. Ages: This workshop is suitable for ages 12 and upwards. 12 - 17 yr olds must be accompanied by an adult. You can find us on Twitter @mathsweek or Facebook. I am starting the newsletter with rather a tricky topic of involving parents. In this modern world of transparency, I think this can only be good for your pupils so their parents and them are talking from the same page. This can be a sensitive issue but if handled sensibly there are wonderful rewards as I experienced when teaching maths. Make the subject and the teaching transparent and do inform the parents what methods are used and be honest with them that incorrect guidance at home can unstitch the good work. I know this last statement is hard to deliver but it must be done. 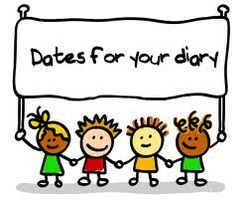 Holding sessions with parents and also inviting parents to take part in their child’s maths lesson are all positive. Below are wise notes from our friends from NRICH (http://nrich.maths.org) and also activities which work well in parent and parent / pupil workshops. Take the plunge! You will be rewarded. River crossings – I make placards for the children and they move from one part of the room to the other Link 1 and Link 2. I cut and paste the above material and put it on Powerpoint slides acknowledging the source. Puzzling cards can be obtained from MathSphere Link and Liverpool FunMaths Roadshow Link. A certain number is composed of two digits. The number is equal to five times the sum of its digits, and if you add nine to the number the position of its digits will be reversed. What is the number? Dr Mike’s Math Games for Kids! - http://www.dr-mikes-math-games-for-kids.com/- is a website where you can find printable material to enhance your teaching and Maths Clubs. Dr Mike says, “My goal for this site is stock it full of cool math games. Math games for kids to enjoy as they learn”. Not only are there are a variety games but there is access to different kinds of graph paper, time worksheets with analogue frames. The age range is from 4 year olds right up to 18. Start the video at 4min 30 secs – the puzzles may not suitable in the classroom but they could be adapted to encourage the pupils to use their intuition. Innovate This School - I came across this e-magazine through a tweet sent by my friend, Russell Prue who calls himself the IT evangelist. It takes in the whole school curriculum and it is a source to locate the latest software and apps to enhance the teaching in the school. It is a weekly magazine which I am sure will be distributed to most of the members of staff. I have had a wonderful honour bestowed on me (that sounds too posh!) to host a Year 5 mathematics challenge in The Guildhall, London on behalf of Christ’s Hospital for London Primary Schools – what a location. I need to rehearse!! !